Interview Scheduling Software Explainer Animation | Mair Perkins Ltd.
Cronofy are a software company specialising in calendar integration. They have offices in Nottingham, London and New York. As I'm an animator based in Derby which is short distance from Nottingham, they asked me to produce an animation to explain their Real-Time Scheduling product. 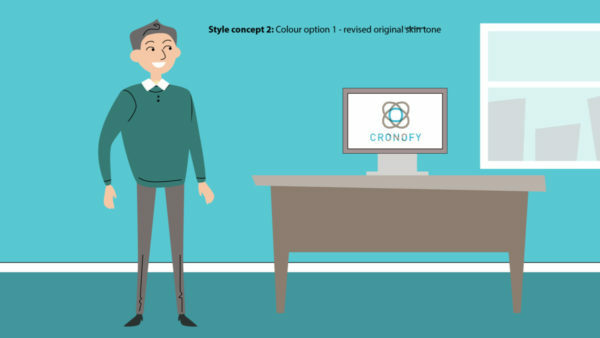 After the first animation was produced, we worked together again to create a second animation which explains Cronofy's Enterprise Connect product. Cronofy supplied a script then I developed a fun, quirky style that complimented their branding. After that I designed the storyboards. When those were signed off production began with the voiceover recording and animation. An American accent was selected as Cronofy are primarily marketing to a USA audience. The animations were delivered on schedule with plenty of time for a marketing launch and series of trade show events. 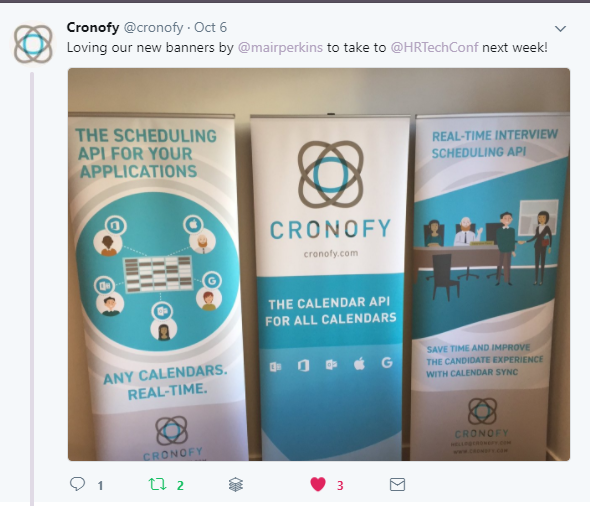 Cronofy have used the animation on their website, social media and at their trade show stands. Script by Cronofy. Voiceover supplied by Haynes Music Productions. 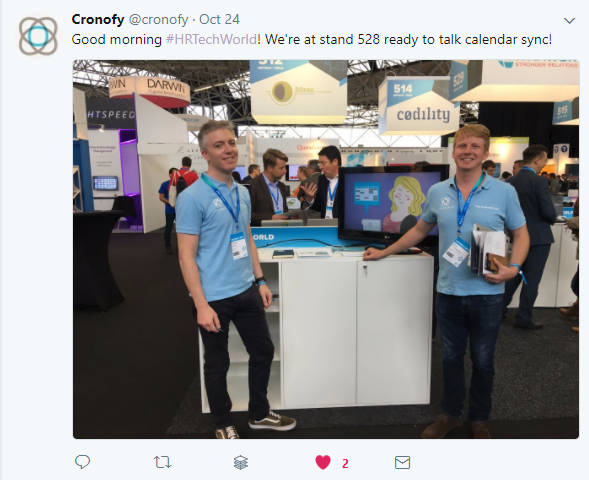 Cronofy are a software company specialising in calendar integration. They have offices in Nottingham, London and New York. As I'm an animator based in Derby which is short distance from Nottingham, they asked me to produce an animation to explain their Real-Time Scheduling product. 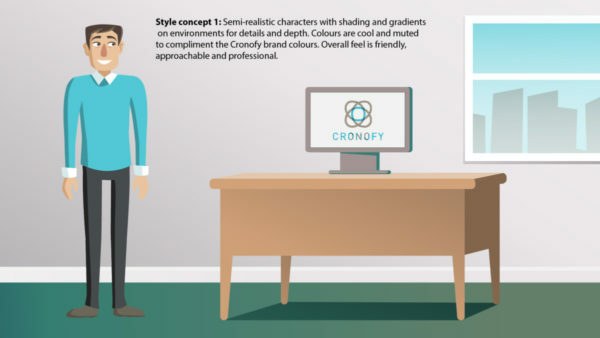 After the first animation was produced, we worked together again to create a second animation which explains Cronofy's Enterprise Connect product. Cronofy supplied a script then I developed a fun, quirky style that complimented their branding. After that I designed the storyboards. When those were signed off production began with the voiceover recording and animation. An American accent was selected as Cronofy are primarily marketing to a USA audience. The animations were delivered on schedule with plenty of time for a marketing launch and series of trade show events. 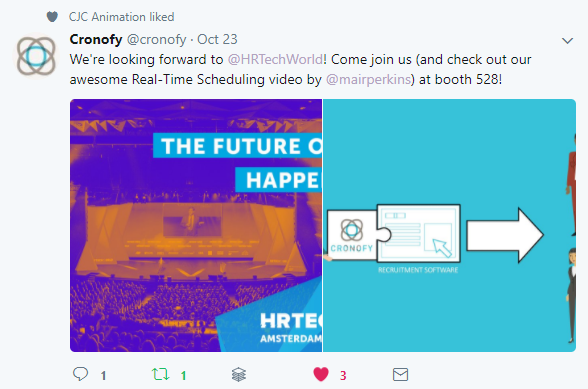 Cronofy have used the animation on their website, social media and at their trade show stands. I've worked with Mair on several projects now, and she's always great to work with. She's full of ideas that can turn a good animation into a great one and always open to feedback. Her creative process is easy to follow and she keeps you updated every step of the way. Style concept 2 – The chosen style. Some colour theme variations were explored. The storyboard in Boords the online storyboarding app. Boords lets clients leave comments on the storyboards while updates and edits are quick for the designer to do.